This week Stephen Amell, star of CW’s Arrow, again expressed his interest in being part of the movie version of the DC Universe, and that he could stand up against Henry Cavill (Superman), Ben Affleck (Batman), and Gal Gadot (Wonder Woman) and fans would be good with it. We agree, and in fact, we think Season Two has so far exceeded our expectations, and Amell’s performance as Oliver Queen far surpassed what Cavill did with Superman this summer in Man of Steel, that the producers would be wise to consider including Green Arrow in the Batman vs. Superman movie. Much of Amell’s success in his role comes from his visible belief in his character, his physical skill and acting ability, all which comes through on the small screen. The rest of the series’ success is the good writing, and fans of the TV series who can’t get enough each Wednesday have had another option this year via a weekly comic book digital tie-in series that was reprinted in twelve monthly issues. Consisting of 37 chapters that read like short stories, Arrow the comic book was created by writers from the TV series including Marc Guggenheim and Andrew Kreisberg as well as guest writers, and drawn by classic Green Arrow artist Mike Grell and a host of other DC Comics artists including Sergio Sandoval and Eric Nguyen, and photo covers and new art covers by Mike Grell, Phil Hester, and others. The book expanded the series by giving fans insight into each week’s TV episode. One week you could find backstory on Helena Bertinelli, the next a flashback of John Diggle’s experience as a soldier, and some weeks featured Oliver’s encounters back on the island. 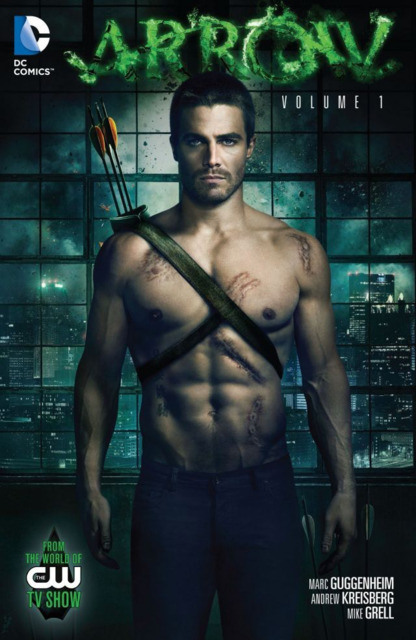 With so many opportunities to touch on Oliver Queen and the series supporting characters, the title turned into an anthology series with plenty of potential. The print series also helped fill in details that could have been easily overlooked on TV, insight into Laurel’s sister Sara and her dad before the shipwreck, who Moira believed to be her husband’s killer, and more about series villains like Deadshot and China White. The highlight is of course Mike Grell’s return to the character. 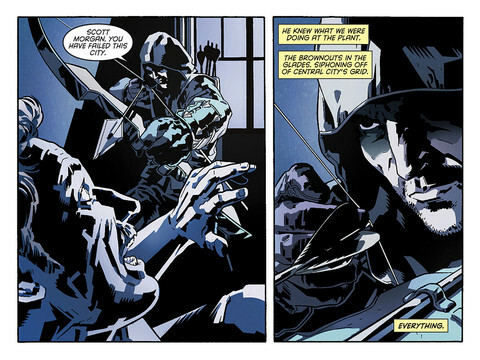 With six 10-page stories and three covers, it reminds fans of the classic Green Arrow series of how well Grell knew Queen’s urban archer—even if this new Arrow is a different styled character than his version, Grell creates the most compelling version of the character around. DC Comics has published anthologies before focused on its main characters, such as Superman and Batman, but it is refreshing to see new creators’ takes on one of the supporting Justice League superheroes. 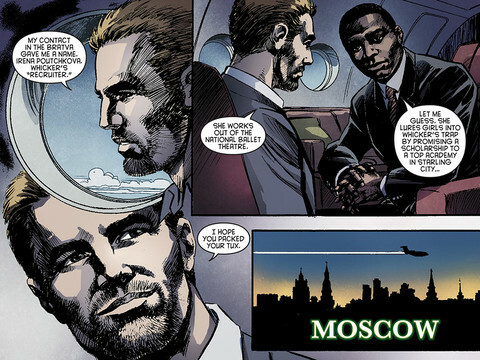 Lucky for fans the comic book series will continue in 2014, following the events of Arrow the TV series, Season Two. A trade paperback edition of Arrow, Volume 1 , reprinting the first 208 pages of stories from the weekly digital/monthly compilation comic book, is available from your local comic book store and Amazon.com.